In the aftermath of the horrifying attacks of September 11, 2001, a second wave of attacks is expected to hit the US mainland. The year is 2002. A cabal of elite one-world proponents, in conspiracy with members of the Chinese government, has developed an operation to spark the birth of their new world order. John Powers, ex-Delta Force sniper and CIA operative and the Alpha Team, must act now. Usually, former Delta Force soldier John Powers is delighted to hear from Casey McBride, the widow of John's brother-in-arms Braden and mother of John's five-year-old godson Ian. But Casey is calling because she has just killed two of three intruders to her Boulder, Colorado home. And when John hears that Ian, under hypnosis to find a cure for his acute aqua phobia, has claimed to be the reincarnation of an assassinated US senator, he tells Casey to get out of the house, now. Within minutes, John tells his Team Alpha mate, Melissa Harrington, that they are leaving Prague to return to the US to put the assets of the security company they work for, Sect-Intel, to work protecting his godson. What he doesn't tell his co-worker is that the boy is possibly the reincarnation of a man that he, John Powers, assassinated. Six years previously, John had been a member of an elite Department of Defense team under its then secretary, Charles Perthweiler, and had been told that Senator Clarence Brown was a traitor giving security intelligence to the Iranian government. He undertook the orders to terminate the senator believing that the order came directly from the president himself. Now, in Washington, D.C., Perthweiler meets with his former under-secretary and current director of the Defense Intelligence Agency, Edward Raymore, to frantically ask how a five-year-old boy's claims of a past life can be unraveling the conspiracy that both men have been part of carefully maintaining. Now that Iranian hitmen have failed to eliminate this threat to their part of an international conspiracy, the two men agree to take the necessary steps to tie up any loose ends. Loved story line and easy to listen to. once started had to finish the book. A seemingly routine session to cure his niece's aquaphobia turns up an operation that was so dark no one but the operatives knew about it. This sets into motion the people who called for it and the people who were involved in it to either hide what happened or blow the whole thing open with unknown consequences. The narration of The Dead Have Secrets was done by Stefan Rudnicki, who does a stand-up job. His deep manly voice helps set the John Powers character. And his ability to change his voice helps set the others that were featured in this book. 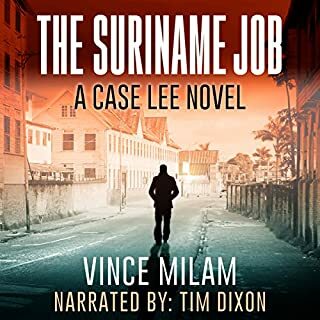 I enjoyed the narration of this book quite a bit and will be looking for other books narrated by Rudnicki. I particularly liked his rendition of the asthmatic character who always seemed to be out of breath. 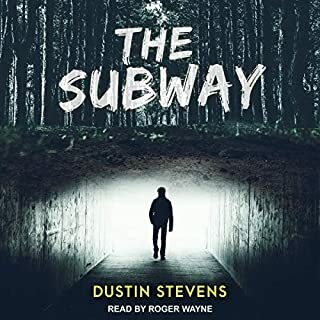 When I first looked at this book I wasn't sure if it was a zombie book (based on the audiobook cover I just saw a hand reaching out), but it is not at all. It's a great story about a deadly operative who's old mission is coming back to haunt the people who originally called for it. I thought that the premise of the story along with all of the characters was really interesting and different. There were parts of Dead Have Secrets that reminded me of the Bourne books and movies because of the way that Powers is able to take control of a situation. Also the "he's incredibly dangerous" and he keeps eluding our best teams really reminded me of the was Jason Bourne was. There is nothing wrong with that. He was one of my favorite all-time characters and if a new author can write a book that feels like that with a totally different premise is a winner in my book. The story inside of The Dead Have Secrets was well written. Each twist and turn were a surprise and every time I thought I had things figured out, I was surprised. John Powers is a great leading character too. Powerful and caring, a nice combination of both makes him one of those leading protagonists that you feel good reading about. Overall, I loved The Dead Have Secrets. 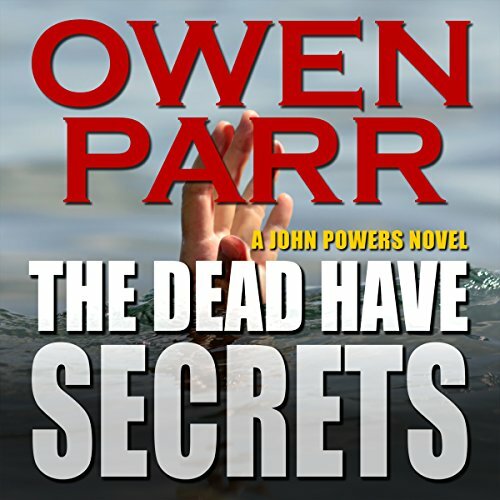 I will now be on the lookout for the other John Powers novels and other books by Owen Parr. His combination of action and realism really made this story enjoyable. I was given a copy of this novel by the author which has not affected my review in any way. 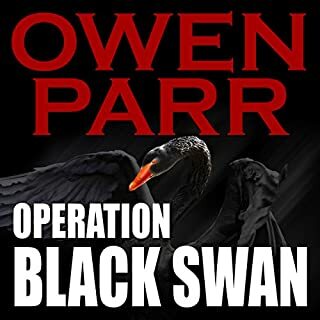 This is my first novel by self published author Owen Parr. It is one of the novels in his ex-Delta Force and current CIA operator John Powers. The Dead Have Secrets is packed with action and suspense. I recently reviewed an outstanding espionage novel by Tim Tigner which earned 5 stars only because I could not award more. Parr's novel is excellent, but it is simply not inn the same class as Tigner's. Nevertheless, it is worthwhile so I will listen to more Parr novels. This author and this series have real promise. A well written suspense thriller with political twists with an international flare added in to spice things up. 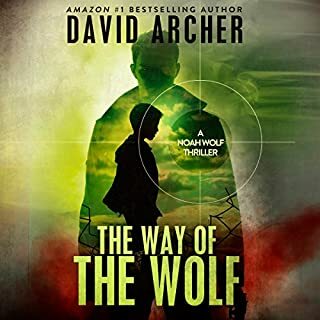 Parr gives us John Powers, a retired Delta Force soldier who finds himself employed by a friend owned security agency that is sent overseas to recover a client. During the rescue mission, he receives a frantic call from his ex-brother-in-arms wife, Casey. Casey’s six year old son and her are the target of some undercover Iranian hitmen. 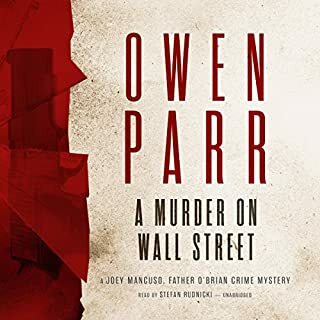 I really enjoyed this book by Owen Parr with it's non-stop action and machinations. The story kept me gripped from the very beginning. I loved how many of the characters interacted and the ending was spectacular! Stefan Rudnicki added so much to the book with his distinguishable voices for various characters. One could hear who was speaking. I thought the author wrote an original storyline that had some very thought provoking elements. I loved the unexpected twists in this book too. Without giving away spoilers, the ending was spectacular. I will definitely listen to more books by this author and narrator.